Ah, cherry picking. Sometimes Ebay sellers just don't know what they have and a sharp eyed scout can score big. 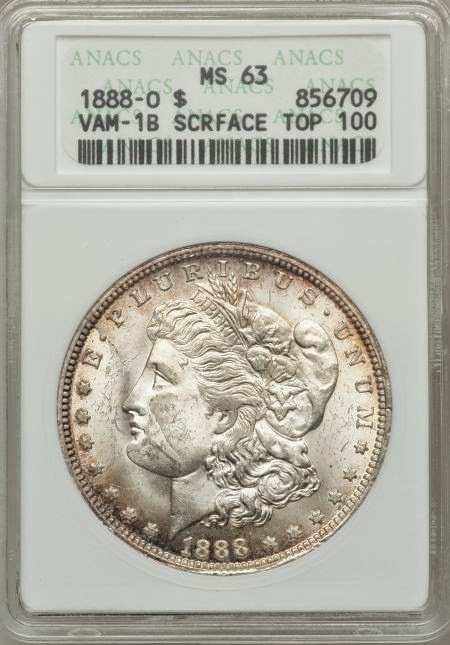 For example, a few months back a coin like the one in the picture was purchased at the price of an ordinary 1888-O. That's an incredibly unusual example because "Scarface" is rather easy to spot - did the seller think those were scratches on the coin? However, often the sellers most likely to list rarities unknowingly are the ones with the poorest photos. You might be lucky to make out a mintmark at all, never mind being able to see slight doubling! 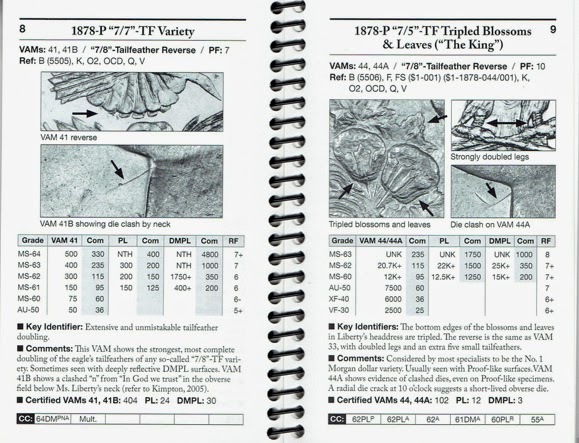 I didn't show details on those; you can look them up at VAMworld or buy the "Top 100 Morgan Silver Dollar Varieties: The VAM Keys" book. Note: All my coins in a safe deposit box. I keep nothing in my home. I don't remember that one - will have to look it up.